On Tuesday, a third federal judge ruled against President Trump’s decision to end the Deferred Action for Childhood Arrivals (DACA) program. In a 59 page order, D.C. District Judge John D. Bates found the program’s “virtually unexplained” repeal unlawful. The government was ordered to begin accepting new applications for DACA. Now, the government has 90 days to provide sufficient additional reasons for ending DACA before the order goes into effect. President Trump announced in September 2017 that DACA would end on March 5, 2018 unless Congress took action to provide a legislative remedy for “Dreamers.” However, two federal judges issued nationwide injunctions, keeping DACA in place past the March 5 deadline. This allowed individuals whose applications were previously approved to renew. The new court order goes further than the previous injunctions and opens DACA back up to initial applications. 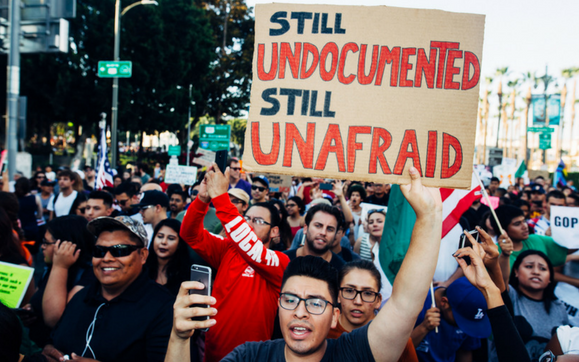 A recent CBS poll found that 87% of respondents felt that DACA recipients should be allowed to stay in the United States. The primary takeaway is that the program is still in effect but its future remains uncertain. This is a paralyzing limbo for applicants who must pay nearly $600 and provide their information to a government that has signaled its desire to end the program and expose recipients to deportation. The Supreme Court declined to immediately consider the prior injunctions and those cases are now winding their way through the appeals process. The same is likely to happen to this decision and an appeals court could place DACA in jeopardy once again. Where Does the CBJC Stand? In response to these concerns, CBJC’s Immigrant Justice Project held a clinic to screen DACA recipients for longer-term immigration relief, extending our ongoing involvement with applicants. Along with our Fragomen Fellow, we were heavily involved with organizing clinics when the program was first announced and continue to screen DACA holders. Additionally, we will continue to provide consults at general immigration clinics held throughout New York City. However, the current program is not a long-term solution. We urge all DACA holders to be regularly screened by trusted immigration practitioners for other possible remedies. Also, we recommend that individuals renew their applications at the earliest date possible, given the uncertainties facing the program. You can learn more about the Immigrant Justice Project here. If you need legal help, contact our free Legal Hotline at 212-626-7383.